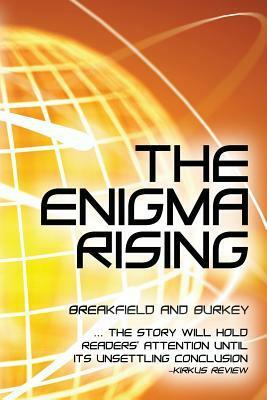 The Enigma Rising, written by Charles V. Breakfield and Roxanne E. Burkey, is a modern-day techno thriller that explores a world of cyber crime, kidnappings, and drug cartels. R Group, is a contract team,who provides intel to businesses and is hired to find a missing heiress. Their lives collide with former drug traffickers turned money launderers in an unexpected meeting of fate. Here they must learn whether they can work together to uncover intelligence through the deep underworld of cyber crime. The Enigma Rising begins with a concerned father Thiago meeting with his head of security team to discuss finding his missing daughter Lara. The novel then turns back to 8 months prior to the Chihuahuan Desert of Mexico where two brothers Juan and Carlos and a group called the “On Brothers” are meeting together to collect a mysterious shipment. This is where the novel kick starts the action with missing drugs and carefully curated criminal plans and soon spirals into a world of technology. Drug rings, drug trafficking, and crafty criminals all band together to make up this technology thriller. At times the story has a James Bond feel except you are following the crooks rather than the authorities. Then the R Group enter the plot line. Their code of conduct is based on “maintaining the balance of power for economic and human conservancy” and throughout history, they have protected businesses and thwarted evil. This unit has been hired to help find Lara and will follow clues and a data trail in hopes of finding the missing heiress. 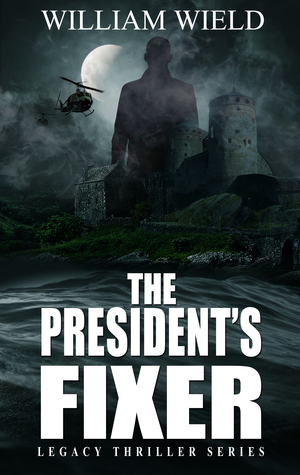 The action is intense, the suspense is high and you will visit a world where cyber crime is at its most elite. Even though this novel is an action story, you would be mistaken in thinking it was all guns and car chases. Instead, the crime is clever, from people posing as model agents to a couple Petra and Jacob exploring their romance in the midst of digital security investigations. The dialogue is interesting, the crime intelligent and the characters complex. Breakfield and Burkey’s manipulation of words creates beautiful imagery for the reader. From the first pages, you feel as though you are in a current of words that flow easily and naturally. At no time did the book feel jaded or stuck which meant I found myself glued to the plot line, eager to find out what happens. Breakfield and Burkey do a fantastic job of the novel with their quirky one-liners and clever plot line. There are surprising romances within the plot line that at times take a front seat to the action chaos. Carlos and Simone become an unlikely duo whose relationship begins with Carlos meeting Simone as she waits to appear in an adult photo shoot. From here it becomes a whirlwind romance and I enjoyed watching the two characters develop and interact with one another. I would highly recommend this to anyone who enjoys a clever action novel with a dash of lust, cyber crime, and mystery.